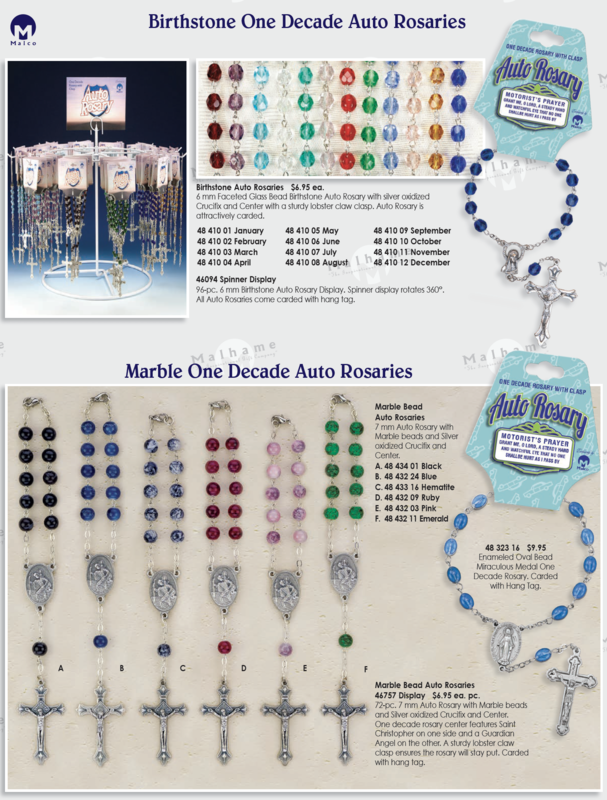 Birthstone Auto Rosaries $6.95 ea. 96-pc. 6 mm Birthstone Auto Rosary Display. Spinner display rotates 360°. All Auto Rosaries come carded with hang tag. 46757 Display $6.95 ea. pc. and Silver oxidized Crucifix and Center.